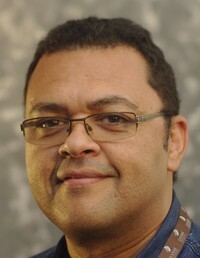 I was appointed as the Director of the South African National Bioinformatics Institute in 2009. And since 2010 I have also been the director of the South African Medical Research Council Bioinformatics Unit. My laboratory is funded through my DST/NRF Research Chair in Bioinformatics and Public Health Genomics in the main, SA Medical Research Council, European Union Horizon2020 and NRF-Kenya Bilateral grants. Development of new drugs or vaccines to stop the spread of pathogens require an in-depth understanding of the molecular mechanisms driving pathogenity and factors that control host-susceptibility to infection. My group uses a comprehensive collection of analytical approaches to build methods for interrogating high throughput genomics data for new biomarkers to inform drug discovery (Figure 1). The COMprehensive Bacterial Analytical Toolkit for Tuberculosis (COMBAT-TB) represents the computational platform underpinning our data mining efforts. This platform integrates a workflow management system (GALAXY), a graph datastore (Neo4j) and a visualisation tool (Explorer) (Figure 2). This project uses the international genome model organism database standards like CHADO and model them in a graph database. 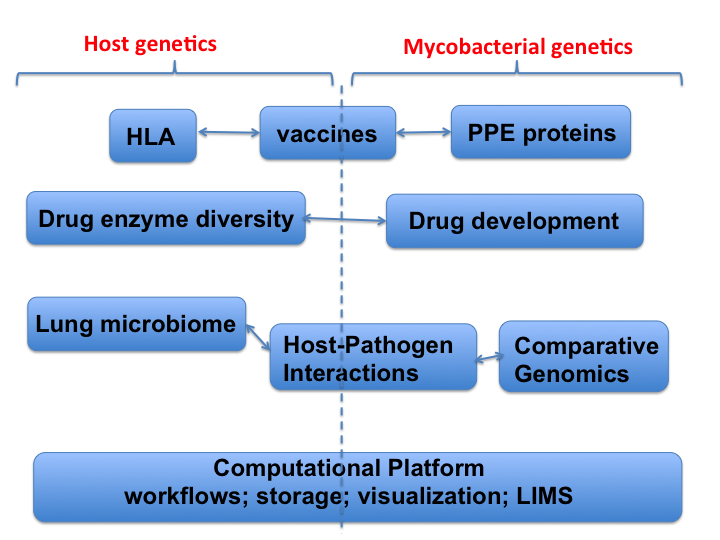 Establishing a mycobacterial genome annotation platform provides the start of a larger curation effort aimed at integrating a wealth of mycobacterial genomics and transcriptomic information.